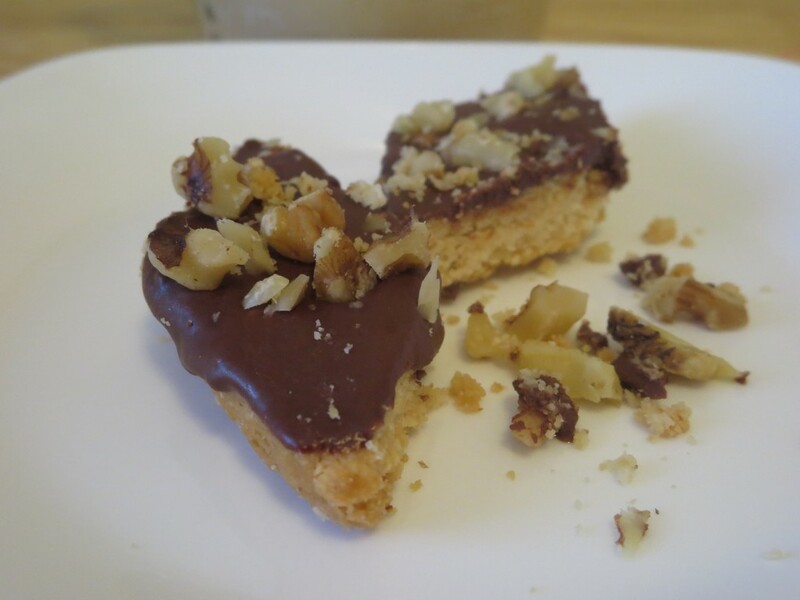 When you need a healthier version of a treat for the holidays – or anytime! Traditional short bread is comprised of wheat flour, sugar and butter; a combination of ingredients now known to contribute to obesity, metabolic syndrome, gut dysbiosis and fatty liver. This alternative, when used occasionally is great – according to my family and friend taste-testers. Preheat the oven to 300 degrees F. Prepare a 8”x8” baking pan by coating the pan lightly with palm shortening or butter or ghee and lining it with parchment paper. Leave enough parchment paper to provide handles to lift the shortbread out after the first bake. Combine all base ingredients in a food processor. Blend on low until all ingredients are combined. Press into the prepared pan. If the dough is sticking to your hands wet your hands with water or use a rubber spatula. Smooth the top and then cut through the dough using a dough scraper or butter knife making first about 1-inch vertical lines and then 1-inch diagonal lines. Bake for about 20-25 minutes until shortbread is evenly golden. Be careful to avoid over-browning. Remove from oven. Let sit for 5 minutes. Then, using the parchment handles carefully lift shortbread from pan and set on a cutting board. If the dough grew back together use a chef’s knife to recut lines. Create a little space between the individual cookies, leaving them on the parchment. Next slide the parchment onto a baking sheet and return the cookies to the oven. Turn off the heat and let them sit in the oven to crisp up for 5-10 minutes. Again, keep an eye on them to avoid over-browning. Remove from oven and cool completely. Make the chocolate topping next by carefully heating the combined chocolate chips and coconut oil in a glass container in the microwave. Use medium-high heat for 30 seconds at a time, stopping to stir the chocolate. Be careful as chocolate chips burn easily in the microwave. Once melted use a butter knife to coat the top of each shortbread cookie with the topping. If desired sprinkle the top with walnuts or nuts of your choice before the chocolate sets.